Photos and stories from the Wild West and other wonders. This week marked a year since I started this blog. In that time, it’s grown to nearly 5,000 followers. Thank you! I’m amazed at the feedback I’ve received, and by just how fun it’s been to share my travel stories and photos with you. To celebrate the first anniversary, I want to focus on this state that I love so much, and take you on a tour of some of my favorite spots. Our California tour starts in Yosemite. 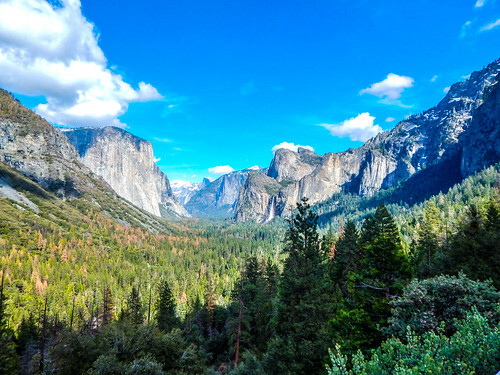 There are many spots to visit in Yosemite. On this particular trip, I hiked part of the Chilnualna Falls trail. It’s something I won’t mention on my radio show, because I really have no idea how to pronounce it. 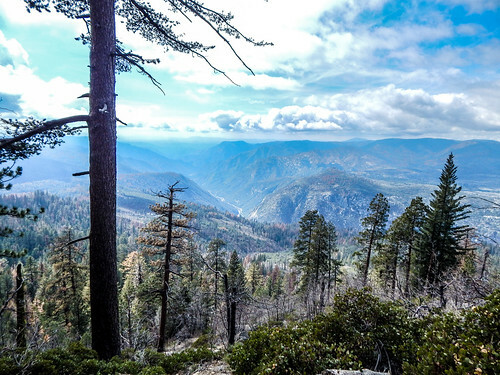 The trail is just over four miles to Chilnualna Falls, but just a half-mile in, you already have a spectacular view. This, apparently, is not the main waterfall. It is, however, beautiful. I was there last weekend – late March – during this wonderfully rainy year we’ve had. There was a lot of water flowing here and throughout Yosemite. 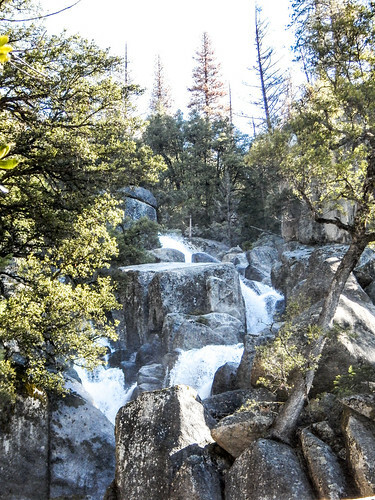 To get the best view of this little waterfall, you must climb up a set of stone steps. I have issues with vertigo, and had to stop for a minute about halfway up. The steps were a little much for me. But, I’ll admit, I was shamed by children who seemed not much older than toddlers, who were climbing up the steps with ease and abandon. A note on the children on the trail. There were a few spots where my hiking partners and I looked down and knew without a doubt, a person could easily die right there. I wouldn’t take a small child on a trail like that. 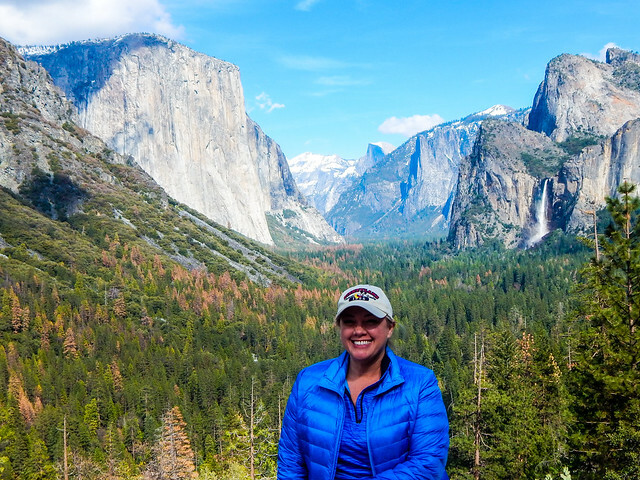 To steal one hiker’s thought – Yosemite isn’t a theme park. It’s a wilderness area that can be dangerous. Keep that in mind as you set out. 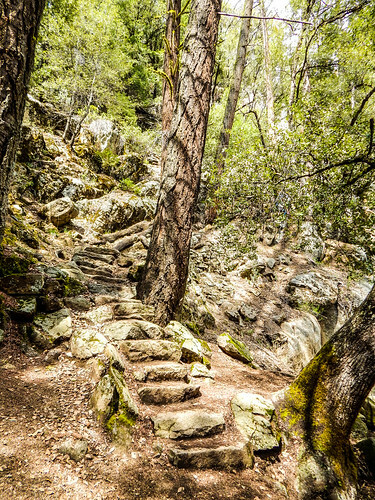 Careful footing and the occasional rest brought us to more of the breathtaking views Yosemite has to offer along the Chilnualna Falls trail. We hiked for about 4.5 hours total, 2.5 up and 2 down, then went for a drive through the park. Here’s the picture everyone gets at Yosemite. 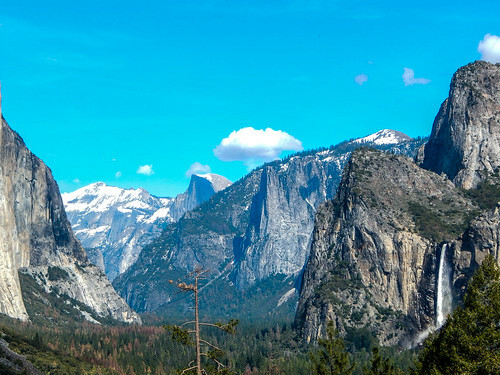 Taken from the Tunnel View stop, you can see Half Dome near the center, and Bridalveil Falls on the right. From Tunnel View, we headed back toward the Oakhurst (Fresno/Madera) side of the park and stopped at a vista for one last photo. While photos are lovely, you really can not experience the beauty of Yosemite through pictures alone. If it speaks to you, make your way here to California and go. Get the week's top agriculture news from The American Ag Network.